GVS Cleaning is the sister company of GVS Valeting, a hand car wash and valeting centre based in Bedlington, Northumberland. Recently established as a top valeting centre in Wansbeck for quality and affordability, we have extended the same values and level of service to our carpet and upholstery cleaning services, domestic home cleaning services and commercial cleaning services throughout Northumberland and Newcastle Upon Tyne. Our aim is to develop a lifelong relationship with our clients, by providing outstanding cleaning results, in a friendly, professional, reliable and discrete manner. Our expert team will ensure a high quality job at an affordable price. All of our cleaners work in pairs and are professionally trained, uniformed and DBS checked. Very pleased, I will use GVS Cleaning again. A really good and professional job. Mark was professional throughout the job he was polite respectful and very informative. Marks work is exceptional, my carpet looks new I highly recommend him. All work done well. Excellent workmanship. I would recommend to anyone. Everyone very professional in all aspects. 5 star treatment. Arrived on time to clean oven, splendid result. Really happy with the job. Prompt and accurate quote. Time and date agreed. Excellent professional job. Professional manner, very tidy. Excellent and very thorough job. Sofa looks brand new. Very tidy worker. I would definitely recommend. 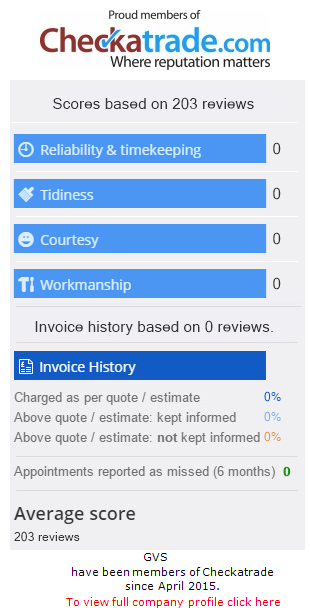 The cleaning service and quality of work was excellent. Good value for money. Job done 100% and I would recommend.